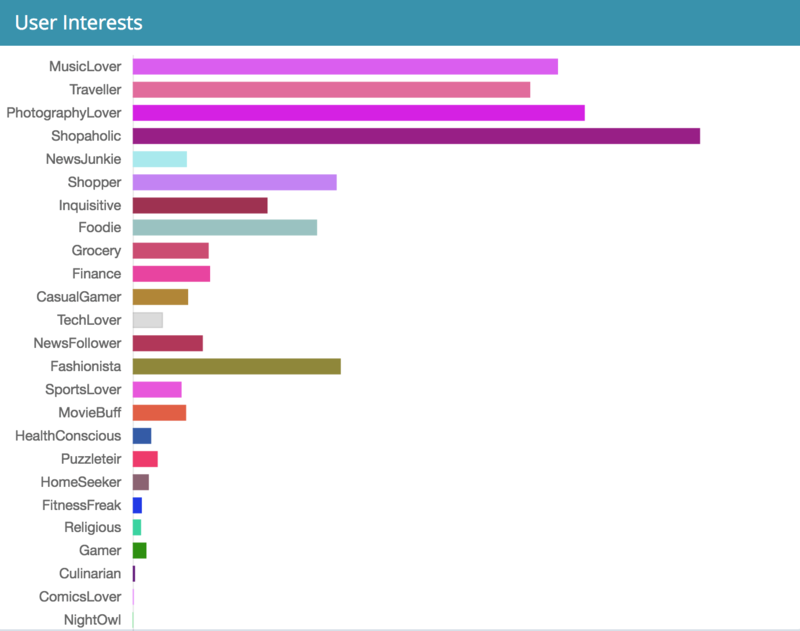 Predictive segments of your users interests to enable hyper personalized engagement. Segment the users interests using the data from hardware and software sensors combined with patented algorithms. Marketers love these micro-segments that enable collaborative promotional offers, hyper targeting and drive engagement. Segment your users based on the collaborating and competing services they use. 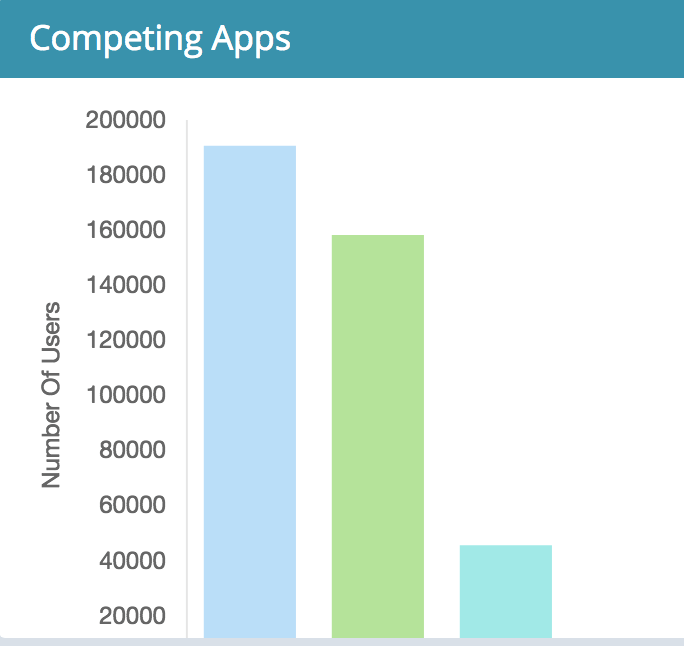 Segment your users based on the collaborative and competing services that they use. Understand which services are valuable to your users outside your own. The segments can then be used to create personalized campaigns that nudge users towards your service and highlight the benefits of using collaborative services together for e.g. paying for a cab ride using a wallet. Create contextual audience segments around the proprietary Who, What, Where, When (4Ws) model. 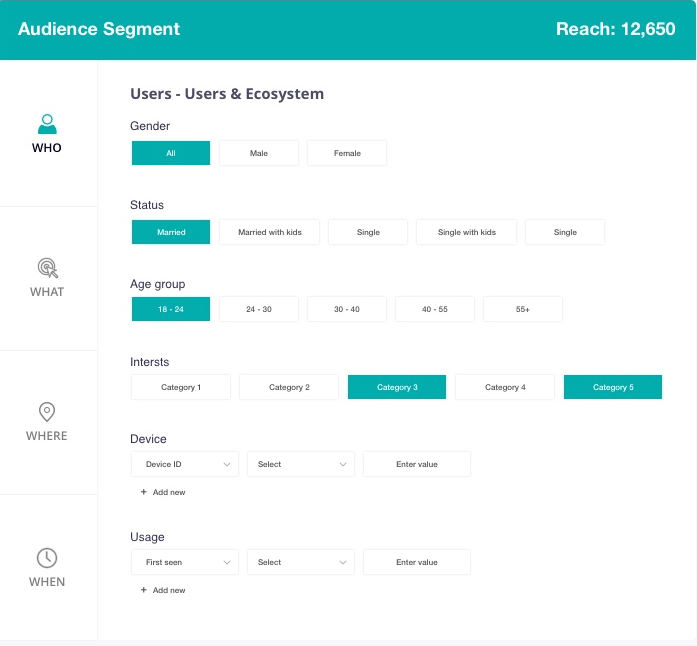 The most easy to use segmentation solution for marketers to understand their reach and personalize the messaging to derive maximum engagement. Combine multiple attributes to define your target audience, know actual reach and engage.